The 5 Best Folding Treadmills For Home Use – Small Space, No Problem! Folding treadmills have become very popular for home gyms because of their convenient space-saving design. Having the option to fold your treadmill in half when not using it is a real game changer for homes with limited exercise space. But in order to find the best folding treadmills, you have to know what to look for. Turns out all treadmills are not created equal. Luckily, once you know what to look for, comparing treadmills gets a lot easier. This guide will show you which features you should consider when comparing machines to ensure you find the right folding treadmill for your home. Let’s make sure we’re all on the same page first. What Is A Folding Treadmill? I know the term sounds pretty obvious, but some of you might be wondering how a treadmill can “fold”. As the name implies, these treadmills have decks that fold up vertically to meet the console. This is achieved by placing hinges where the frame meets the deck (in the front). You simply push a release button and the deck folds up towards the console. A lot of the nicer folding treadmills have hydraulic assist mechanisms to make bringing the deck up off the floor a lot easier, so don’t worry about having to be strong enough to lift the weight of the deck. The benefits of a folding treadmill are pretty straightforward. If your workout area is limited in floorspace, you may not have the room to spare when you aren’t using it. Especially if your workout area is a shared space, doubling as a living room or dining room at other times. The average footprint of a home treadmill is about 3′ x 7′ during use. Folding the treadmill up more or less cuts that footprint in half. Having the deck up and out of the way also comes in handy if you have small children running around. I know from experience that small kids love to climb and play on exercise equipment. Having the deck up and out of the way might help keep your treadmill out of harms way (you know, from curious little hands that want to jam toys in the belt or spill juice all over the deck). In order to allow that deck to fold up though, manufacturers usually have to skimp a little in the stability department. This means a lighter machine with a deck that might not feel as sturdy as the non-folding machines. Unfortunately, this is unavoidable, but the nice folding treadmills can still offer a comfortable workout without you feeling like you’re going to wobble right off the thing. Choosing a folding treadmill isn’t really any different than choosing a non-folding treadmill. After all, the key features of all treadmills are the same- the only difference here being that the ones we are considering also have a folding feature. One of the first features you should examine when researching a treadmill is running surface (belt size). When it comes to comfort during use, the running surface is probably the most important stat. Large is better, especially if you plan on running. I recommend looking for a belt with a width of at least 20″ and a length of 60″ if you plan on running. Even if you plan on doing a lot of walking, 20″x60″ is kind of the gold standard for home treadmills. Having the extra space around you is going to make the experience more comfortable. You don’t want to feel cramped on the belt. Shorter users can get buy with a shorter deck, especially if you won’t be sprinting. The strength of the treadmill motor is another important stat to check. Again, stronger motors are preferred because they won’t have to work as hard to maintain higher speeds (or slower speeds for that matter). When a motor doesn’t have to work as hard, it will last longer. Motor strength is measured in HP (horse power) or CHP (continuous horse power). CHP is technically a more important measure for us because it tells us how much power the motor can sustain over time. Most home treadmills, folding or non-folding, have motors in the 2.0 – 4.0 CHP range. If you are a runner, I recommend going with a motor with at least 3.0 CHP. You should always compare weight capacities when searching for any type of fitness equipment. I’m a stickler for weight capacities because it gives us an objective measure of how well built a machine is. Higher is better because it indicates a more durable, sturdy product. Folding treadmills can have a slightly lower weight capacity due to the folding deck, but most quality ones can handle 300-350 lb. Warranty is another key feature to consider on any type of fitness equipment. When you can’t decide between 2 similar treadmills, always go with the better warranty. 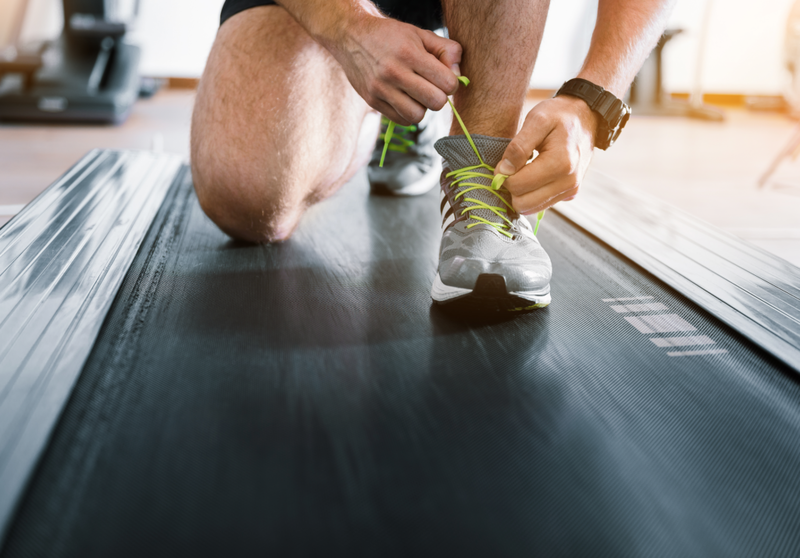 Treadmill warranties are usually separated into: frame, motor, parts, and labor. High-end folding treadmills will often offer lifetime warranties on the frame and motor. Parts warranties can vary greatly, but expect anywhere from 1-5 years. Labor is always the shortest and usually ranges in the 90 day – 2 year range. And of course price. You obviously have to find something that fits your budget. Folding treadmills can be found in every price point, but most of the best ones cost in the $1000 – $2000 range. The good news is you don’t have to buy a commercial grade machine (and destroy your budget) in order to get a quality folding treadmill. If you have any further questions regarding what to look for when comparing treadmills, you should check out my full treadmill guide, it goes into a little more detail. The Sole F80 always seems to find itself at the top of “best of” lists. This is because it packs an impressive combination of features and comes at an affordable price. The F80 is one of the more heavy-duty folding treadmills, meaning the deck won’t feel flimsy during use. It also has a wider-than-normal running surface (deck) which gives it more of a club treadmill feel. Running Surface 22" x 60"
Right off the bat, the F80 has a 3.5 CHP motor which is near the top of the expected range for home treadmills. This powerful motor can reach and maintain a top speed of 12 mph (the equivalent of running a 5 min mile). This treadmill can also incline up to a 15% grade. This combo of speed and incline means you can get a serious workout. The 22″ wide running surface is wider than most home treadmills. The extra space gives you some wiggle room so you don’t feel like you have to run in a straight line the whole time. If you sway a little here or there you will still have plenty of belt to work with. The F80 comes preloaded with 10 workouts- not as much as some, but plenty to get you moving. It also has a large display screen, bluetooth compatibility with fitness apps, and comes with a wireless chest strap heart rate monitor. I also want to point out the impressive warranty on this machine. Lifetime warranties on the frame and motor are great, but 5 years on parts is equally impressive. Two years on labor is also about as good as it gets for home fitness equipment. Seeing a warranty like this shows us that Sole believes in their product. When it comes to folding treadmills, the Sole F80 is hard to beat. The specs speak for themselves. It’s been one of the most popular home treadmills for a while now and for good reason. The 3G Cardio brand might not be as recognizable as some of the other names on this list, but if you haven’t heard of them before, you need to check them out. 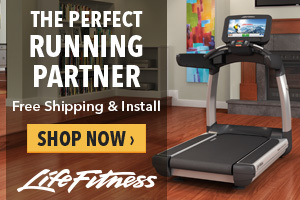 They make some of the best home treadmills on the market, especially for runners. Their Fold Flat model is one of their smaller treadmills, but it’s also one of the most unique folding treadmills around. All folding treadmills fold vertically, and so does this one. But this one also folds flat to the ground which is a really smart idea because you could store this thing under a bed if you wanted to. Running Surface 18.5" x 58"
A quick look over the stats shows us that this treadmill’s numbers aren’t quite as impressive as the Sole’s, but the ability to fold vertically or horizontally gets it bonus points in my book. The 80i is still packing a 3.0 HP motor with a max speed of 11 mph though, definitely enough to earn its spot on this list. The running surface is also smaller in both width and length. The 18.5″ width could feel a little tight if you are used to a club treadmill. The 58″ length is pretty respectable, especially if you aren’t over 6′ tall or an elite runner. The size on the 80i should be sufficient for most users to walk or job comfortably. This treadmill comes loaded with 12 workout programs and can incline up to a 15% grade. The 80i is a little lacking in the tech department- it isn’t compatible with chest strap heart rate monitors. It does come with a pretty awesome warranty though. Lifetime on frame and motor is what we should expect from an elite treadmill. Five years on parts and a year on labor are also great for a treadmill in this price range. Speaking of price, the 80i runs about $500 cheaper than the Sole F80. Overall, the 3G Cardio 80i Fold Flat treadmill is a great home treadmill for walkers and runners. Its dual folding feature makes it a smart choice for homes with limited floor space. ProForm is a well known home fitness equipment company owned by ICON, a very successful fitness equipment manufacturer. ProForm is well known for their folding treadmills and I believe they actually were the first brand to offer them. The Pro 2000 is the lowest priced unit in the “Pro” series. The Pro 2000 is well-priced and highly reviewed as one of the best foldable treadmills on the market. Checking out the stats below it’s easy to see why. With a 3.5 CHP motor this treadmill can comfortably reach a max speed of 12 mph. It can also reach a max incline angle of 15% and even decline to -3%. This is the first treadmill on our list to offer a decline setting. If you are training for a race, this can come in handy when trying to duplicate the feel of going downhill. The Pro 2000 also has a roomy running surface with the extra-wide 22″ width. The 60″ length should make it comfortable for running regardless of your height. This treadmill is also the most tech savvy of the bunch so far. It comes preloaded with 32 different workout programs and it’s also iFit compatible (something we see in most ProForm treadmills). iFit is a fitness app that helps you track workout metrics as well as give you access to unlimited workouts. Unfortunately you have to pay a month subscription, but using the service is optional. The Pro 2000 isn’t lacking in the warranty department either, offering the same great warranty as the Sole F80. If your budget is a little tighter, this might be the treadmill for you. On sale, you can find the Pro 2000 for about $1000, which is a steal. This treadmill is also a nice choice if you enjoy playing with high tech stuff and want more workout options. The NordicTrack C990 is one of the most affordable folding treadmills on our list with an asking price right under $1000. This asking price is surprising (in a good way) considering how much this affordable treadmill has to offer. Looking at the numbers, it can compete head to head with treadmills that cost over 2x as much. Running Surface 20" x 60"
The 3.0 CHP motor has enough muscle to reach and sustain a max speed of 12 mph and a max incline of 12%. If you like interval training, you will appreciate the quick touch buttons that allow you to instantly set the speed and incline with the touch of a button. The C990 also comes with the gold standard in belt size- 20″ x 60″. This is wide enough and long enough to run comfortably, even if you are over 6′ tall. The extra inches give it a more comfortable feel, closely resembling the feel you get from a commercial grade machine. NordicTrack stepped up their game when they included a 7″ full color touchscreen console on the C990. The console is iFit compatible (without the need for a separate tablet) and comes loaded with 32 workout programs. This treadmill is also compatible with chest strap heart rate monitors, but one isn’t included. Another feature unique to NordicTrack is the FlexSelect cushioning system under the belt. You can increase or decrease the shock absorption based on your preferences (reducing the cushion more closely mimics the feel of running outside on the road). The C990 also comes with a great warranty. Lifetime on frame and motor is to be expected and 3 years on parts is pretty good considering the price range. Overall, the C990 puts up some impressive specs and comes at an affordable asking price. If you are looking for a high-tech treadmill, this might be the right one for ya. Just know there have been some complaints about NordicTrack’s customer service. Rounding out our list is another ProForm machine- they invented the folding game and are still one of the leaders in the category. The 705 CST is a very affordable treadmill that is better suited for walking and light jogging because of the weaker motor. Otherwise, its numbers are very respectable and better than a lot of more affordable machines. I mentioned this treadmill has a weaker motor- it’s actually the weakest motor on this list. At 2.75 CHP it’s going to be a little weak to sustain serious running, but it will work just fine for walking and some jogging. It can still reach a max speed of 12 mph and reach an incline up to 12%. The belt is surprisingly large on the 705 CST at 20″ x 60″- larger than you might expect for a treadmill in this price range. Even though the motor is a little weak for serious running, the belt is plenty large and will make you feel comfortable whether you are walking or jogging. The 705 CST comes loaded with 22 different workout programs. If that isn’t enough for ya, you can sign up with iFit and have access to unlimited workouts. This treadmill has a tablet holder to let you connect to the fitness app while you workout. There’s also built-in speakers and cooling fan to make your workout more enjoyable. ProForm backs this treadmill up with a very respectable warranty considering the price. Lifetime frame and motor isn’t guaranteed in this price range. Two year parts is a little lower than we’d like to see, but again, this is the most affordable treadmill on this list and cheaper machines usually have shorter warranties. Lastly, I want to point out that this treadmill has a weight capacity of 325 lb, making it strong enough to safely accommodate most users. ProForm has always been a leader in the folding treadmill department and the 705 CST is a good example of why. If you’re looking for an affordable treadmill for walking or jogging, this is a smart bet. Folding treadmills offer a great convenience with their space-saving design. For homes with limited workout space, the ability to fold can make the difference between being able to get a treadmill and not being able to. Folding a treadmill basically cuts the footprint in half- something that comes in very handy in your workout area is a shared area. After these specs have been considered, you can compare the more fun features like workout programs, bluetooth compatibility, and tech. Getting a quality folding treadmill doesn’t have to break the bank either. This list is proof that there are several elite treadmills for under $1000. I hope this review was helpful. As always, if you have any questions or comments, please leave them below and I’ll get right back to ya. Hi Will! Thanks for the detailed information on treadmills! I have always wanted on for my house but was worried about space, storage and cost and this was very helpful on eliminating all of those questions! I had no idea you could get a quality piece of equipment for under $3000! I am also interested in learning about other home gym equiptment such as stationary bikes and leg press type machines. Do you have any suggestions on those? hey Katie! thanks for reading. yeah there are some really nice treadmills out there for a good price. the folding models are a great fit for most homes. You read my mind on the stationary bikes! I am doing some research and I am planning on writing a post soon looking at some of the bike options out there. In the future I will definitely write about other home equipment and will make sure to include cable machines and leg press machines. thanks again for the interest and check back soon to see some info on stationary bikes.